I hope we can see Akakaboto! Because he's a huge character if we compare to other bears tho. Would be awesome. 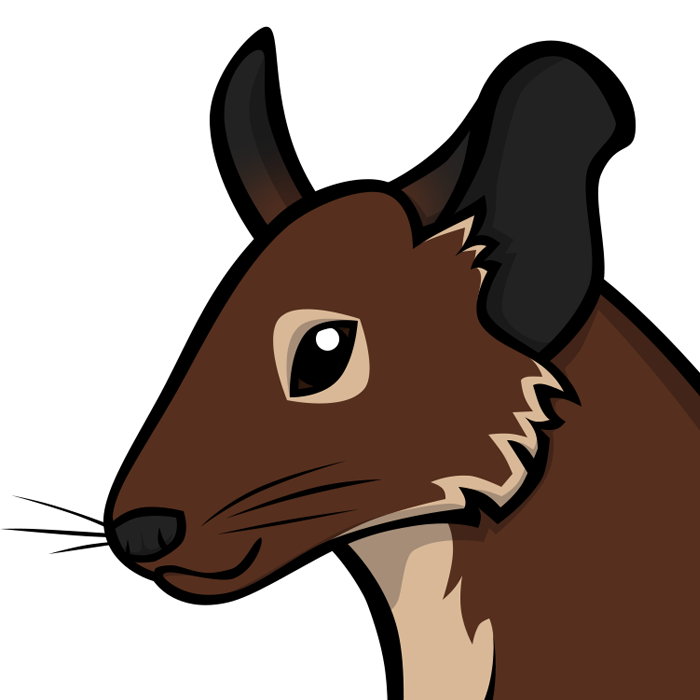 I used the number replacement trick and couldn't find any new GNG images, so I assume it doesn't show up on the web page. 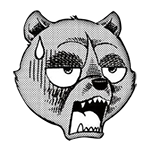 My gaming experience makes me suspect that if bears are added, they'll either be bosses or some special one-attack summons because trying to fit something the size of Akakabuto on the battlefield alongside the normal-sized characters would probably be a bit difficult. Here's a video of all 4 of them in action! Interestingly, Ben uses the Geki Sentsuuhi Battouga, which makes this the first time the non-Zetsu Battougas have been referenced in decades. I wonder if this means we could see some of the wolves make an appearance. Ack, I wish there was a site that had ALL the characters from the game, so we could see who else is in the game!! I assume sprite rips and comprehensive guides are going to appear sometime after the game is released. Given the sheer number of fandoms interested in this game I wouldn't be surprised if it got its own Wiki at some point. Okay apparently the game's already out whoops. I think this is a list of all the currently available characters, but I couldn't see Kurojaki or the Koga dog in there. Maybe they're enemy-only characters? There's also a tweet about a GNG-themed "Hero Island", whatever that means. It's apparently the 18th island in the game, and assuming it works how games like this usually work you have to clear the other islands before you can tackle this one. edit: I'm trying to see if I can get the game to work on my phone, meanwhile here's the GNG character stats I managed to glean from that page I linked earlier. Killing skill: Zetsu Tenrou Battouga: Deal 250% damage to one enemy and increase attack power by 3% for two turns. Friendship skill: Receive the blade of the bearhound! (what): Increase attack power by 25% and resilience by 20% for two turns. Passive ability: Bearhound's blood: When HP is 90% or more, reduce amount needed for killing skill by 1 (I'm... not really sure what Google Translate meant to say here ) and increase attack power by 5%. Klling skill: Nimble fang: 200% damage on one enemy. Friendship skill: Here I am! The mighty Smith has arrived! : increases all allies attack power by 20% for two turns. Killing skill: Iga ninja skill, Raikaken: 240% damage to all enemies. Friendship skill: Receive the fang of the Iga ninja...! : Increase allies' attack power by 20% and lower enemies' attack power by 15% for two turns. Passive ability: Leader of the Iga ninja dogs: increase resilience by 10% when in a boss battle. Killing skill: Geki Sentsuuhi Battouga - Morohajuu Resshuken: Deal 240% damage to one enemy, reflect back 14% damage dealt to allies for two turns. Friendship skill: Power can only be controlled with power! (again, something's probably a bit funny here ): Red attribute attack power increased by 25% and recovery increased by 20% for two turns. 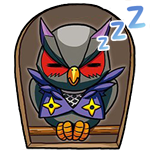 Passive ability: Fudou Myoou of Ohu: When HP is 90% or more, increase damage done by killing skills by 30%. 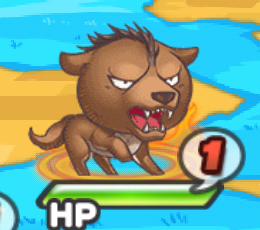 edit: The Koga dog appears in the tutorial! Apologies for the double post but here's a bunch of stuff I've managed to glean from the game. 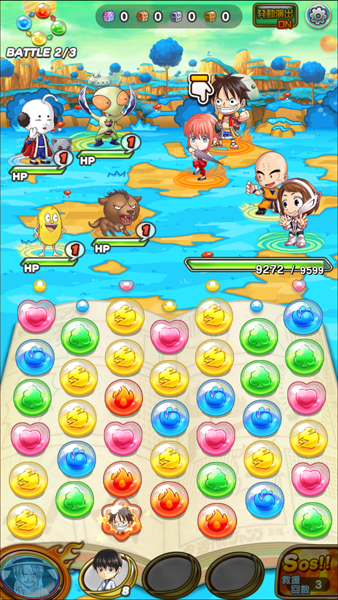 The game uses a "gacha" style system for collecting the characters. Wikipedia has an entire article on the subject, but to put it briefly, characters are gained randomly by spending Rubies, the game's currency of choice. Rubies can be earned either through gameplay or by buying them for real money, and you can either spend 100 Rubies for a single character or 1000 Rubies for a pack of ten. The packs of ten always have at least one rare character in them, so it's better to save up Rubies for the ten-packs. There are also tickets that can be redeemed for one character, with three types being available: 80s, 90s, and 2000s tickets, with each giving you a character from the appropriate time period. There's also "friendship points" that can be redeemed for (again, random) items that can be used to level up your characters. You can also level characters up by winning battles and "feeding" other characters to them. You have a limited amount of stamina, which is depleted every time you attempt a battle. After it's completely gone, you can either spend Rubies to replenish it or just wait for it to recharge. This is basically the exact same model used by every single other gacha-style mobile game out there, so if you're familiar with one of them, you'll know how it works. But that's enough of the boring technical stuff, let's talk about cartoon dogs! After you clear the tutorial, you can choose one five-star character of your choice, with Gin being possible choice. The other three available GNG characters - Ben, Akame, and Smith - are only available through the gacha lottery. The game is nice enough to list the chances of you pulling any specific character from the gacha packs... and it's not terribly reassuring. For reference, Gin's odds are the same as Ben's, so I recommend picking him as your freebie if you want him. 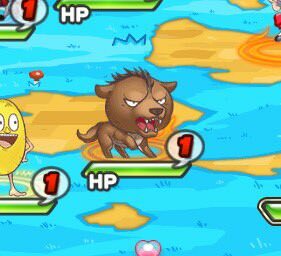 Through some eldritch coincidence, I managed to get Ben and Smith from the first pack I opened (the game gives you some rubies and tickets to get you started), so have some gifs of chibi doggies! Finally, here are videos I recorded of all three using their finishers/killing techniques. I will do Akame as soon as I obtain him but given how gacha games are that may or may not actually happen.